RMA Automotive is an expert in knock down assembly and is approved by multiple automotive and non-automotive Original Equipment Manufacturer’s (OEM’s) in the knock-down and re-assembly processes. Using advanced techniques for tube bending, laser cutting, welding and CAD, RMAA has expertise designing, manufacturing and installing accessories for special vehicles. RMAA applies these custom upgrades to improve the safety, performance and durability of vehicles to stand up to extreme operating conditions. 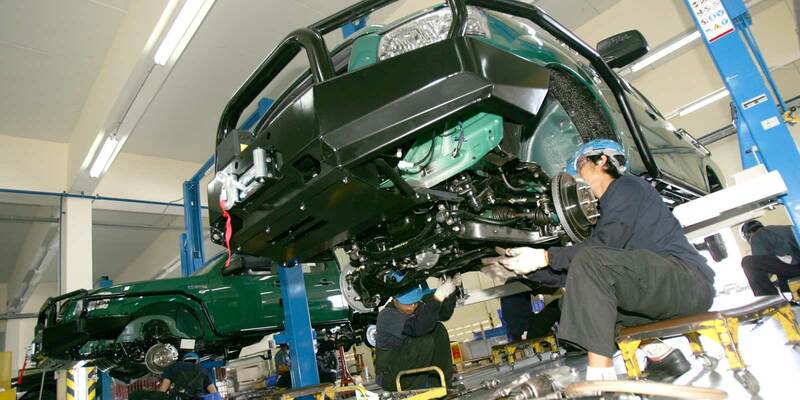 Operating from four global facilities in Thailand, Indonesia, South Africa and Turkey, RMAA partners with leading automotive manufacturers such as Ford, Toyota, General Motors, Land Rover and Mazda to customize fleets for bespoke customer requirements. RMAA is accredited by Ford Motor Company as its only Qualified Vehicle Modifier in Africa and Asia Pacific and is Nissan’s Approved Converter in the commercial sector worldwide. RMA customers keep the OEM warranty and receive an additional RMA warranty on the modifications.